Is There No More Place for 2D Animation in Hollywood? 2D Animation: Is there no more need for it in theaters now that 3D animation is the standard? 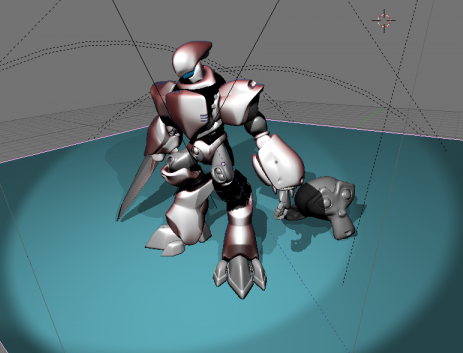 As computer technology advances by the day, the capabilities of 3D animation and modelling software improve exponentially, and makes the process of producing an animation go by faster and faster. The level of detail one can achieve with 3D (keep in mind the algorithm used to give Sully from Pixar’s “Monsters, Inc.” thousands of individual strands of fur was developed as far back as 2001.) far outweighs the level one can achieve in 2D animation – at least granted that no animator wants to break their wrist hand-drawing thousands of strands of fur as well. So while 2D still continues to strive on television, why is there so little feature-length 2D animations in theaters? My name is Shaun Barrett and I’ve been studying 2D animation for just about 6 years now, and have had a great deal of interest in the art form for many years prior. In an article titled “Is 2D Animation Dead? Not Really.” on celflux.com, writer Everard J. McBain Jr. discusses the major blow to the 2D industry that was Disney’s official closure of its 2D animation department in 2013. He concedes that while 3D strives in theaters due to the less time and cost, 2D will always exist in other mediums, and lies with independent creators rather than big Hollywood studios. In Mariah Burbank’s article “Is Hand Drawn Animation Dead?” on silverpetticoatreview.com, she puts the burden on film makers and higher-ups rather than cinema-goers. “The problem comes when the people in charge of a film compare and contrast what is popular at the time to what works.” The fact that Disney’s The Princess and The Frog was in competition with Pixar’s Up in 2009 was what may have been responsible for Disney making the decision they did, as Up generated far more interest and revenue than Princess did – but is that really just because Up wasn’t 2D, or was the content of the movie more unique/interesting? Both authors raise valid points, and as someone who was worked in animation independently for years now, the notions of 2D animation living on in the independent animator space is tried and true. The audience perception of 2D in comparison to 3D is also a skewed one – this is why producers put more stock in 3D animation nowadays. Do people really not want to see 2D animation in the theater anymore? There’s no reason to believe so, it’s just Hollywood producers are giving the people little choice under the perceived idea that 3D is more “modern”, and therefore “better” looking. Support ones that make it to theaters: Though 3D is the juggernaut of animation in the theaters, we need to go see and support the very few 2D movies that make it through the cracks. When a film like Teen Titans Go! To The Movies or The Breadwinner makes it into a nearby cinema, it really should be treated as a monumental event that something like this could even make its way there in the first place. When these movies come out and if they interest you, do your part to see them – it could make a world of difference for the future of an art form struggling to maintain it’s stay on the big screen. Shaun Barrett is a 4th year student of the Digital Media & Society course at the Galway-Mayo Institute of Technology. He’s been animating traditionally since 2012 and has had a keen interest in the art form since early childhood. This blog is being submitted as part of the Social Web Strategy module on the course. of his web рage, as heｒe every materіal is quality based stuff. some experience ԝith something likｅ this. Plеase let mе know if you run into anything.